Having finally caught up with posts on this blog - and after three months of being here on our island paradise, Trav and I are preparing to leave once more! Our 90 day entry visa has almost expired and the rainy season has begun so we are flying back to Glasgow Scotland - for a period of just less than 48 hours in order to catch up with our family - and then we are taking a flight from Edinburgh to Bangkok Thailand. We plan to follow the sunshine and do some island hopping down the Andaman Sea on the south-west coast of Thailand all the way down to Malaysia and from there we hope to fly on from Kuala Lumpur to the Philippines. This will be a four month trip and our most ambitious to date. Here on the island of Utila it is still incredibly hot - around 30 deg C most days - but the rain and the increased humidity makes it hard to be outside as the damp weather brings out all the biting mosquitoes and sandflies - and if the electric supply goes off as it did this morning then not having the fans whirling overhead makes it hard to be inside too. So we are flying away and plan to return to Utila directly from South East Asia at the end of February. When we get back here we will be given another 90 day entry visa. It is possible to get an extra month extension on the island - but most people who call Utila their adopted home leave to do a ‘visa run’ to the USA, Mexico, the nearby Cayman Islands, Guatemala or Belize and then come back in again to claim another 90 day entry. We'll plan to do a visa-run ourselves in 2016 as we hope to spend most of the summer season on the island, right through until mid-September when we hope to return to Scotland for a few weeks to catch up with family and friends. This trip was our third visit to Utila and we have now spent a full nine months here on the island. This year we were here for the months of March, April and May and then we returned for August, September and October. 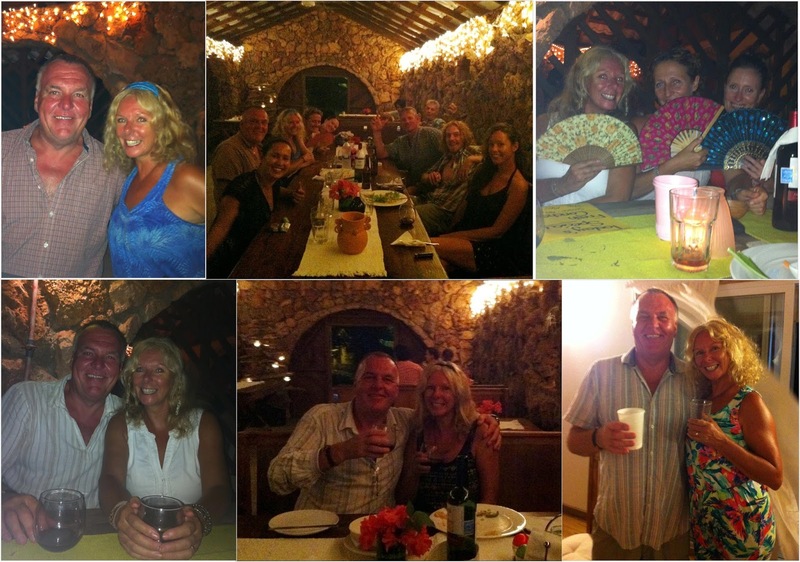 Last year, in 2014, we spent three months on the island during July August and September. Utila now feels familiar and like home to us. We have made lots of friends here from all over the world. Trav dives at a fabulous and fun PADI dive shop called Gunter’s Ecomarine in the Sandy Bay area. We absolutely love the laid-back, no-shoes, island-time lifestyle and we have at last, after trying out four different rental properties, found a ‘casa’ that perfectly suits us and that we can rent long term. I have blogged extensively about the island of Utila and how much fun we have had here but you might wonder what it is – when Trav and I have travelled to so many other islands all over the world –what makes this small island so extra special? On the website Utila Guide.com the island is described as ‘the Caribbean as it used to be’ and ‘Key West of 20 years ago’ and I feel this is a true description as it certainly feels retro and timeless here. But I’m sure that it is only a matter of time before the rest of the world will discover Utila or Utila will catch up with modern commercialism and it will change. There are already cruise ships visiting the neighbouring and larger bay island of Roatan. Where is Utila? Utila is the smallest of the three Bay Islands situated in the Caribbean Sea just off the coast of Honduras in Central America. 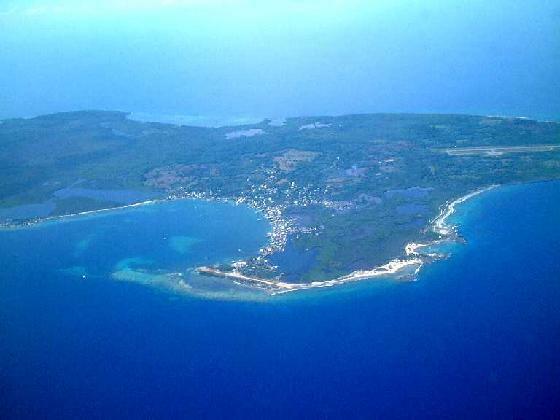 Utila is unique, quaint and unspoiled, some may call it basic, with no chain stores or fast food businesses. There are reportedly less than twenty cars on the island and people get around on foot (bare or flip-flopped) or on a scooter or golf cart. The infrastructure on the island, electric and internet, is patchy at best and fresh water is a precious commodity. We buy our drinking water every other day in five gallon drums. Fruit and vegetables are brought to the island by boat from the mainland (Honduras) on a Tuesday and a Friday and shops sell out quickly so the advice is to buy a good-looking vegetable as soon as you see it or it will be gone in the blink of an eye. There are limited health care facilities on the island; there is a clinic and a pharmacy but anyone needing hospital is taken to the mainland by boat or plane. There is opportunistic crime here, just like anywhere else, so you have to be aware of it without letting it make you edgy. The one small bank on Utila is visibly guarded by armed police both inside and out but half of the time, just like the electric supply, the banking systems are down and you can’t use your plastic to withdraw money. Things happen. Things don’t happen. It’s all part of island life. One thing, of which I am sure, is that there is nowhere in the whole world quite like this beautiful crazy laid-back piece of paradise. It is said that once you have experienced life on Utila you may not ever want to leave. Sure, there are nuisances, like mosquitoes and sand flies and power outages, but none of that stuff can ever blight the bliss of truly living in the moment, of waking up to sunshine every day, of not having to wear many clothes or worry about fashion or hair styles. Erm… maybe that’s just me?! The scuba diving here is the best in the world (Trav says so!) and there are many dive centers on the island. But if you don’t dive then the snorkeling is fantastic because the water is warm and clear. The snorkeling and diving is fantastic... as is my new full face snorkel mask! There are lots of activities to get involved with on land too. 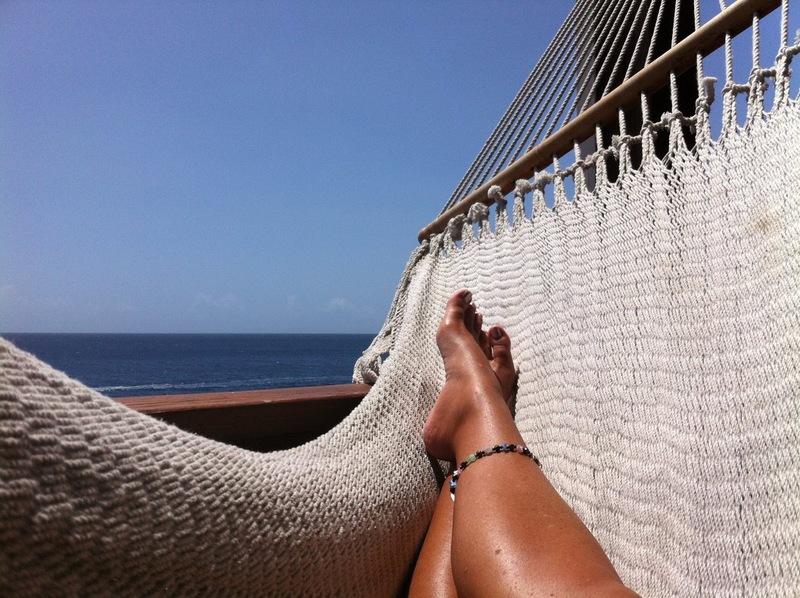 Sun worshiping on the island and particularly on The Cays (tiny tropical islands just off the coast of Utila) and relaxing in a hammock with a good book are favourite pastimes of mine and so is yoga practice, which I discovered here for the first time last year. There are also social groups that welcome people to help with animal welfare, nature and wildlife conservation and beach clean-ups, etc. On Utila, the days pass effortlessly into evening but do be warned (see the uTube videos I’ve suggested you might watch at the end of this post!) that Utila has a bit of a party reputation with the young diver/backpackers that come here and so Utila by night can be a noisy affair, as there are lots of bars selling very cheap alcohol and playing music. But it doesn’t have to be ‘party island’ - if you prefer to watch the sun going down from a quiet chair with sea-view and with a rum in your hand - you can certainly do that too! Our last few days on the island are about saying ‘bye for now’ to all the lovely people who make island life here so special – until we return for the new season in 2016. I’ve picked out a few YouTube videos you might be interested in viewing as they show off this special island of Utila from the fun stuff to the amazing stuff. Fabulous Whale Sharks of Utila video by Dave Thatcher - starring Trav! Do pop back again soon and do please consider leaving a comment as I love to hear from you. Let me know if you watched the videos and what you thought of them? I promise to reply as soon as I get an internet connection. I'll leave you with our 'take off' and 'goodbye Utila' videos! Two weeks spent island hopping in the Seychelles!